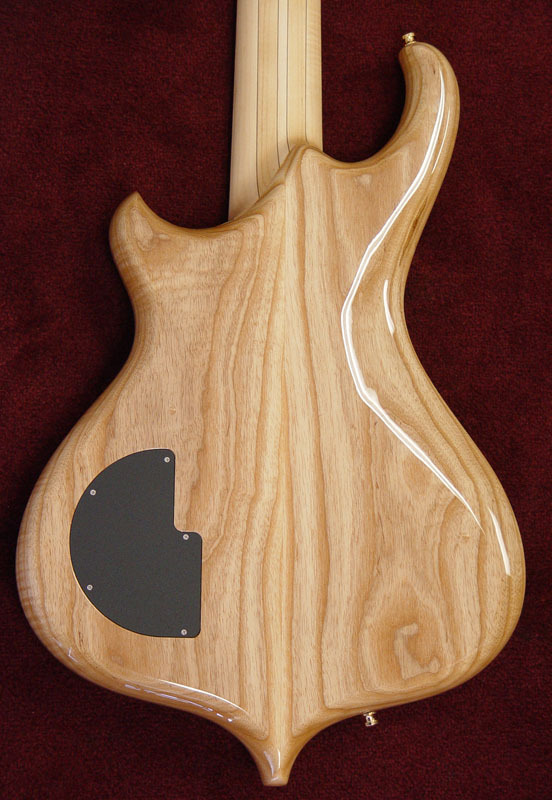 We built this custom Excel bass with a Balance K body shape. This is the latest version of our original body shape we've been making since 1971, but this time, it's been pared down and sleekified with an extended upper horn for excellent balance. Tummy and elbow contours make it comfortable to play. Little touches, like gold plated hardware, make it even more special. 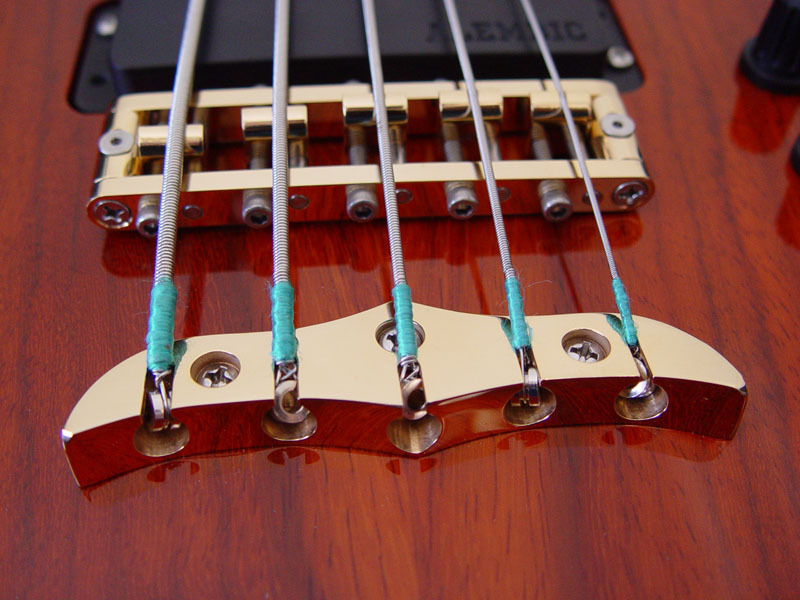 Simple electronics use classic bass and treble controls with both cut and boost (center detents for flat) for easy access to a wide palette of tones. 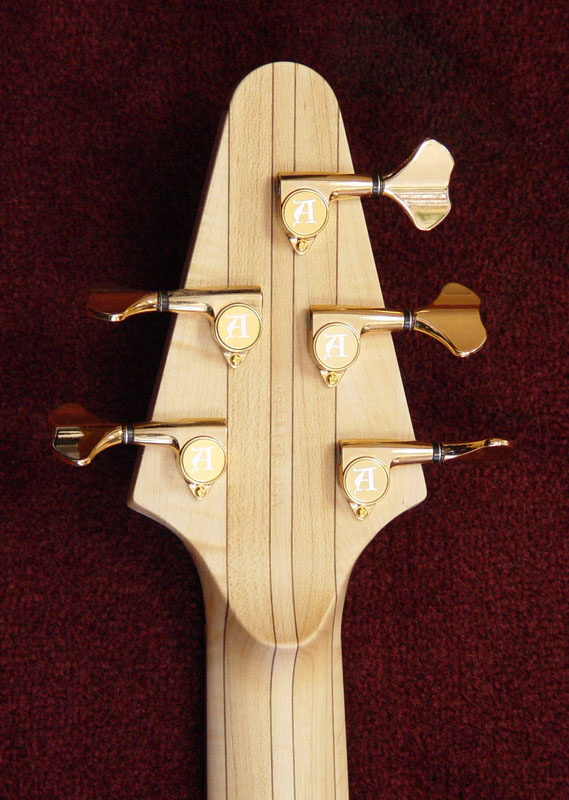 The combination of an Ash body and Vermilion top paired with a set neck keeps a focused lower-midrange, and is an excellent recipe for fretless Alembics. Add a Pau Ferro fingerboard, and it's growl city with very little effort. 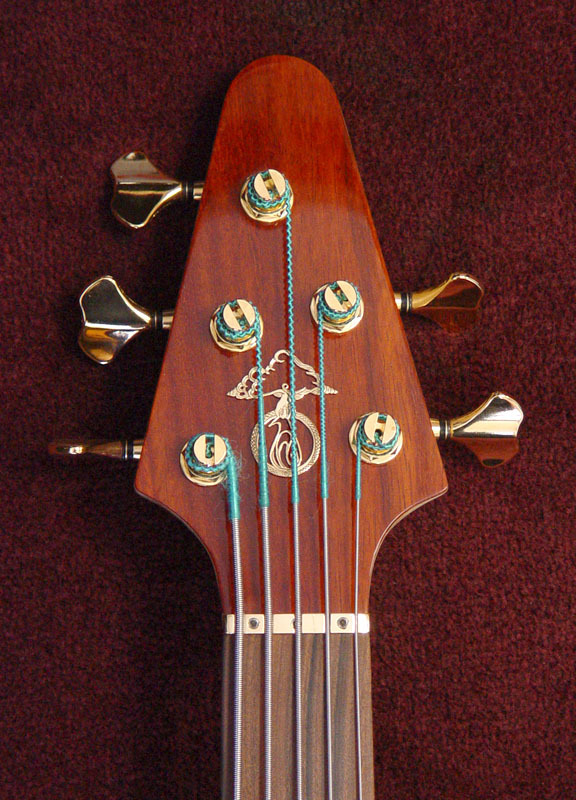 Since Atlanta Discount Music ordered this with so many custom options, you won't have to wait to start enjoying the sound of a custom Alembic bass.